The unit is surprisingly well built. 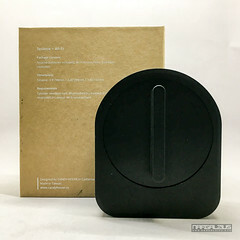 It’s plastic but has a good finish and doesn’t feel flimsy or cheap at all. As far as the turning motor goes, time will tell how long it could last and how it fares with daily use. It comes with everything you’d need. Adaptors that adjust the length of the Sesame’s thumbturn slot to make sure it can interface properly with your door’s thumbturn. Comes with high strength 3M command adhesive strips to mount it with – but also means you can easily get more from your local hardware store. It also has an optional mounting plate in case your door doesn’t have a smooth surface to mount on. 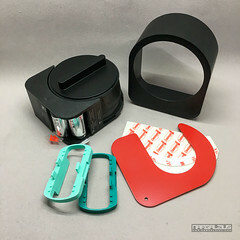 Although using it would now entail using tools, as the plate is meant to be sandwiched and secured between the door and the turnpiece assembly plate. It runs on two CR123 batteries – too early to tell how long it will work before the batteries need to be changed. I’m hoping it can work with rechargeable since I have a couple of RCR123s laying around. As stated, it was simply meant to be mounted, all you need to be sure of is if the Sesame’s thumbturn slot actually reaches your door’s thumbturn. Once that’s decided – cover the turnpiece assembly with the Sesame making sure the thumbturn slot is properly engaged. 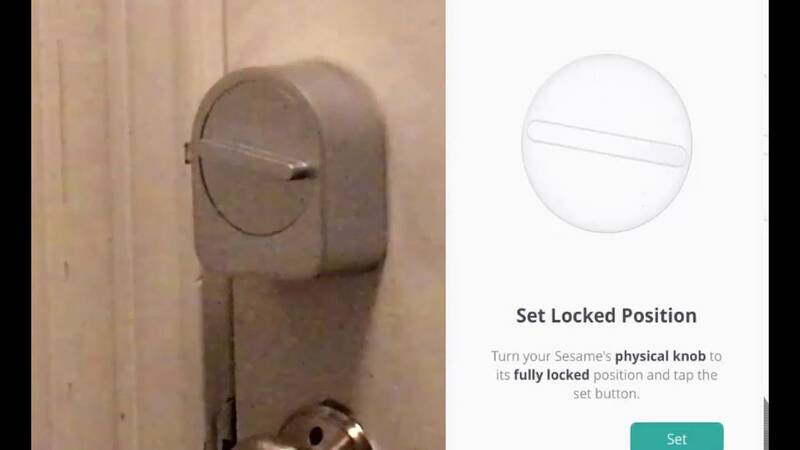 It doesn’t really matter what angle you orient the Sesame at – as you will be calibrating its “locked” and “unlocked” positions via the app. 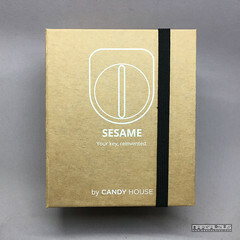 The normal method to lock/unlock with the Sesame is to access the app and click on the giant thumbturn. It also allows other ways to do it. 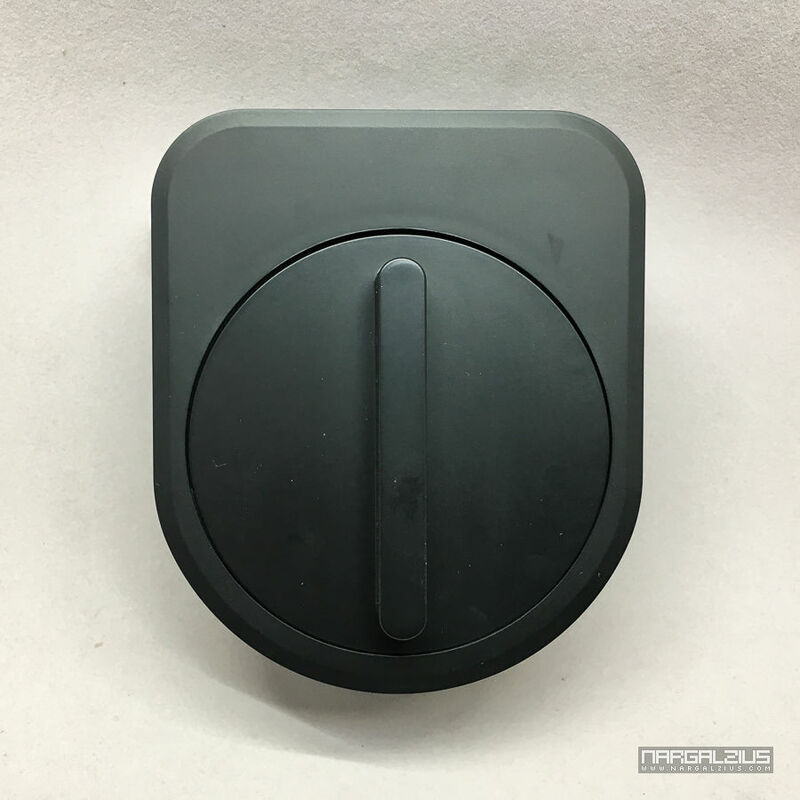 In the video below, I enabled the “knock on phone” feature – which means if it’s within bluetooth range, you only need to knock on your phone and it’ll unlock the door. 2 Which was great because I didn’t know how else to unlock the door WHILE filming the video at that time There’s also an option to unlock it automatically once it connects to your phone (proximity? ), but I decided against enabling it for security reasons. The app is pretty comprehensive and has everything you need. From recalibrating, adding users/guest access, battery and connection status, etc. It even shows activity history in case you need it. In any case, the Sesame is working as intended, the only concern at this point is really how this handles over time. Will the electronics die out unexpectedly? Will the motor lose its strength and fail to apply the required torque to turn the knobs over time? Does a fresh set of CR123s really last for 500 days? For all these, time will tell. But for now, it’s working perfectly. I got two WiFi enabled models (one for the house and one for my condo) – which are supposed to come with WiFi access points. 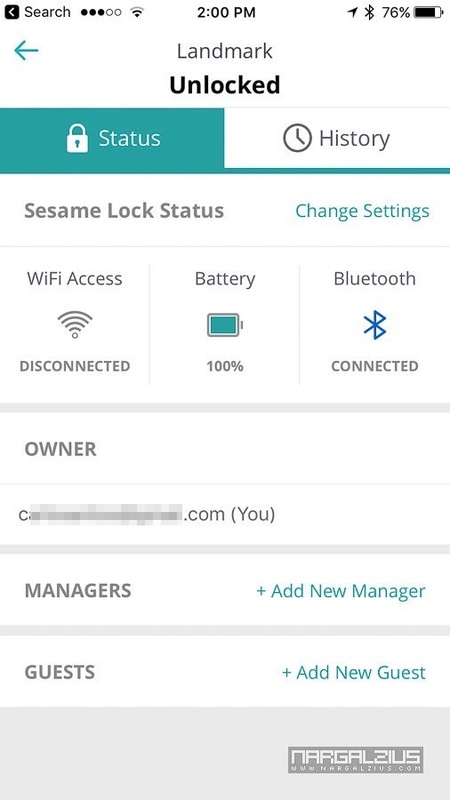 This extends the usability of the Sesame beyond bluetooth limitations – allowing you to lock/unlock your door even if you’re not connected to it via BT. I was also under the impression that it may bypass the need for connecting via BT – which may lead to better battery performance. 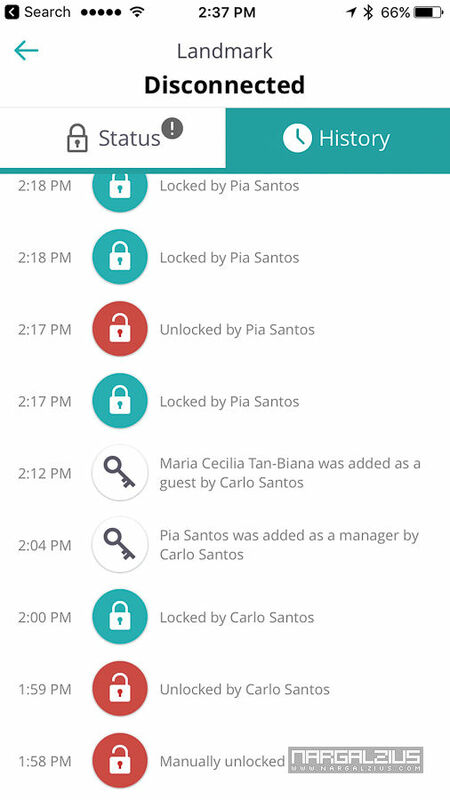 While I still have my concerns about how good an idea it is to allow your house’s lock to be accessible remotely, as the adage goes “mabuti na sobra kesa sa kulang” (better more than less). It’s nice to know that the ability is there should I find any situation that requires it. You can leave it “disabled” if you don’t want to use the feature. Unfortunately, the campaign is still experiencing complications to this day and the access points aren’t ready yet. Thankfully Candy House decided to ship the main units with the access points to follow when ready. There’s no denying that the Sesame is an impressive and practical piece of equipment. And initial tests seem to indicate that it seems to be working exactly as it should – which is to say “it’s awesome.” Despite my [currently] missing WiFi access points, and the negative history that has accompanied its creators, I’m still willing to put this on my Kickstarter Hall of Fame – it’s really that useful.